On the occasion of the 90th anniversary of IARU, MARL will be QRV with a special event call, 9H9ØIARU, from Friday 6th November until December 31st 2015. 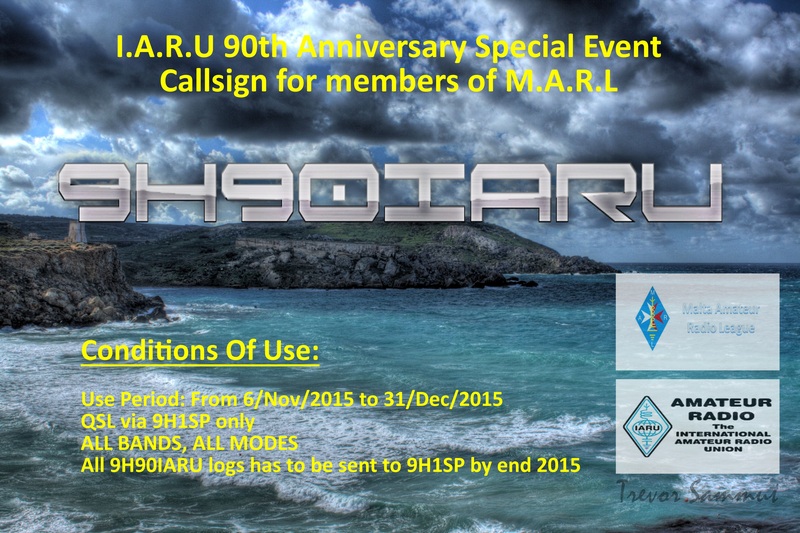 All MARL members are eligible to to use the 9H9ØIARU call on all bands and modes. Kindly inform Paul 9h1sp on paul9h1sp@gmail.com if you intend to participate. Logs at the end of the event are to be emailed to 9h1sp.